Hillary Clinton says her new book, “What Happened,” is her most personal work. On Jan. 26, 1992, Hillary Clinton, a lawyer every bit as committed to public service as her husband, and far more disciplined, sat on a sofa next to Bill Clinton in a Boston hotel suite, the set of CBS's 60 Minutes. There, as millions watched post-Super Bowl, the candidate admitted to "wrongdoing," and "causing pain in his marriage." Hillary stood by her man — though she vehemently denied that's what she was doing — and saved his presidential candidacy. That stance came at great cost — to her. 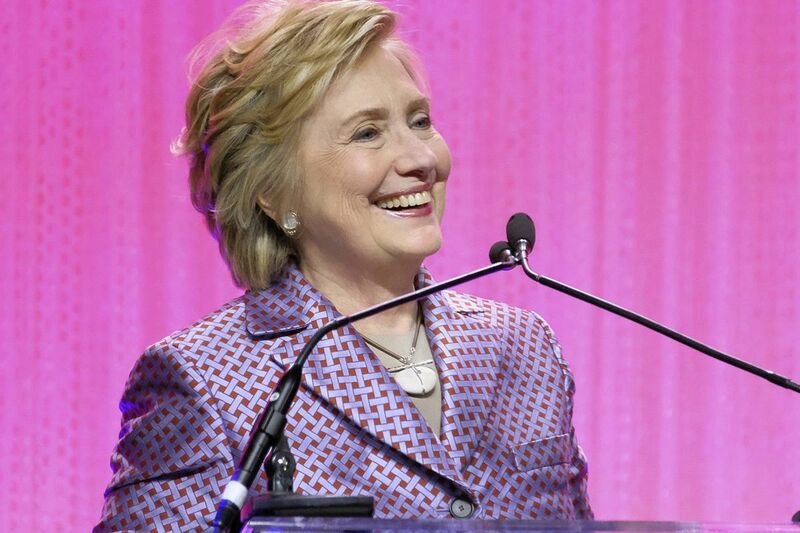 From then on, there has been enormous disagreement about who Hillary Clinton is and what motivates her: Is she a passionate, sincere reformer, or a power-hungry Lady Macbeth? Is she deeply in love or a cold-blooded, ethically fractured pragmatist? Could anything she says be trusted? This public fallout was fueled, in part, by changing societal perspectives, leading to confusion and conflict about women's place in public, political, and corporate arenas. But her persona has also played a part. She has said she marvels at the charisma of her husband and Barack Obama, which she lacks. However, what she has not understood is that her deficit is not a lack of charisma. It is a lack of connection, within herself and with others. Throughout her public life, we have seen her brilliant mind at work. Yet she seems to deny the political necessity of emotional intelligence, or, as some would phrase it, what her heart could tell her, if she could learn to listen. A glaring example, of course, is the angst of frightened, angry, and suffering Americans who felt abandoned by their country, a discontent Trump capitalized on. (I am not suggesting Trump possesses emotional intelligence. He has amassed power by manipulating the suffering of others.) Her seeming insensitivity to people (not issues) can leave the impression that her primary motivation in seeking office is to cement the Clinton power base and legacy, with no real concern for anyone else. Another example of her lack of connection comes from her 2003 book, Living History. The night before her husband confessed "inappropriate intimacy" with Monica Lewinsky to her, she told a friend: "My husband may have his faults, but he has never lied to me." Huh? It was accusation upon accusation about his infidelities that led to the necessity of the 1992 60 Minutes interview. Because I found the post-Bill chapters of Living History boring and contrived, I did not intend to read the new book. Then I read the sizzling excerpts and heard her promise that this will be her most personal book, one where she will discuss oversights and mistakes. So I ordered. Wouldn't it be heartening to read that, when Hillary was ill with pneumonia during the campaign and went to Chelsea's home, she could have immediately trusted us with the truth? Or to learn why her campaign would not listen to Bill's insistence that she was ignoring a population whose support she needed? Or her reaction when her husband cornered Attorney General Loretta Lynch on her plane? Or that we can understand that Hillary Clinton is not the smartest person ever in all things, such as technology, and even like her more because of it? Of course, she isn't the only one who has been in denial. So has our country. We now see that we have not healed from the issues that led to the Civil War. During this terrifying chapter in our history, we see how an unprepared, careless president can exploit those issues, stoking the poisonous flames of hatred that can destroy us. For the first time in Hillary Clinton's adult life, she is not compelled to win votes for either her husband or herself. What she has seen and learned puts her in a unique position to address the festering problems that threaten us. Like no one else, her truths can forge a path to healing. But she will neither be believed nor trusted if she does not face and share herself. What Happened provides this opportunity, for Hillary Clinton and for us.